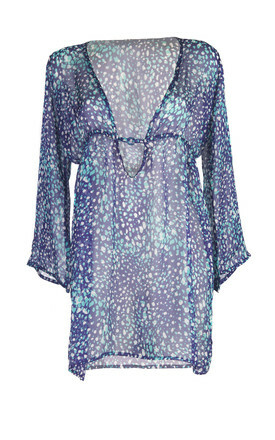 Inspired by sea pebbles and ocean colours, this silk kaftan is the perfect vacation piece. Easy to wear and comfortable, this iconic print style will fit over your favourite bikini for covetable beachwear chic. Team with the Taormina bikini in Royal or Whte. A must in your beach bag!